The condos of Sweetwater at Lake Conroe are located in the heart of Texas, where you can enjoy several outdoor activities both on and around the lake. Each timeshare condo is perfectly furnished and outfitted to make the stay as fun and convenient as possible, and with so many outdoor activities, your days are bound to fly by until all you can do is eagerly await your next visit. The two-bedroom condos sleep between six and eight guests depending on the layout. The Sweetwater at Lake Conroe condos feature several amenities the whole family can appreciate. Each has lots of entertainment choices, with two LCD TVs and video rental, IPOD and MP3 connectivity, DVD player and wireless internet. 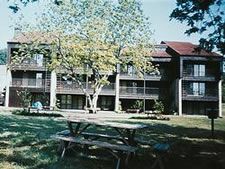 Washers and dryers are also located in each unit, for convenient packing and clothes washing, and a full kitchen with all the appliances means you can dine out or eat in as you prefer. With the Texas timeshare resales available at Sweetwater at Lake Conroe, you will have full access to the 22,000-acre lake’s fishing, boating and other recreational activities. There are several marinas where you can dock your own boat, or rent one for the day. Swimming, fishing, and other water sports are a great way to pass a warm Texas summer day, or you can stay onsite and swim at one of the four outdoor swimming pools. If you enjoy spending time on the golf course, there are 27 holes onsite, plus additional golf courses in the area. 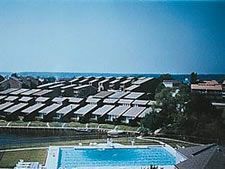 There are also 18 tennis courts, a children’s pool, and a fitness center. The Lake Conroe area in Texas features many attractions for the return and casual visitor. At the Sam Houston National Forest, you can spend days hiking, bicycling, bird watching, and reveling in the area’s unique, natural beauty. For the city lover, there are nightclubs, fine dining, and outlet shopping in the historic downtown area. All the attractions of Houston are only an hour’s drive away, making them perfect stops for day trips. So if you are ready to enjoy the Lone Star State in style, these Texas timeshare resales are the perfect way to get started. Contact Sweetwater at Lake Conroe Specialist Today! Days: Friday, Saturday / Time: 4:00 P.M.